The Invicta Dynamos will be adding to the game night experience with the introduction of ‘Chuck a Puck’ where for just £1 supporters can compete for the chance to win a full family ticket to Flip Out at Dockside in Chatham. Supporters can sign up to play ‘Chuck a Puck’ at the merchandise tabel (Skate Hire) on game night with entry priced at just £1 per puck. During the second period break entrants will then be invited to attempt to slide or throw their puck to the centre spot with the closest to the mark winning the prize. 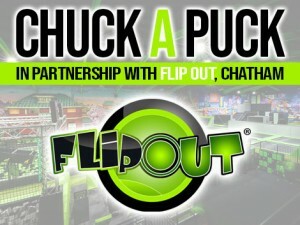 ‘Chuck a Puck’ is introduced in partnership with Flip Out – the owner of the UK’s biggest and best trampoline parks. The aim of Flip Out is simple – to deliver massive amounts of healthy, awesome fun! Families can experience the biggest trampolines, stunt box zones, ball games, a resident DJ and loads of special events. Flip Out is also home to parties, fitness sessions and classes for all ages and abilities and attracts professional trampolinists, free runners, circus artists, gymnasts and general fun seekers. Winners of ‘Chuck a Puck’ will walk away with a full family ticket to Flip Out at Dockside in Chatham. The first competition will be held on Sunday 2nd December as the Invicta Dynamos host the London Raiders at Planet Ice, Gillingham and will then feature at every home game throughout the 2018/19 campaign. Speaking on the introduction of ‘Chuck a Puck’, Club Director Jackie Mason said, “We are looking at ways to add to the overall match night experience and are delighted to be able to introduce the ‘Chuck a Puck’ competition at every home game. We would like to thank Flip Out in Chatham for supporting us and providing an excellent prize for the winner. Flip Out are hugely popular and great healthy fun for all the family and we’ve no doubt all the competition winners will have a fantastic time”. Sunday’s home game on 2nd December will also see the club hold a Teddy Toss in aid of Demelza Hospice Care for Children. 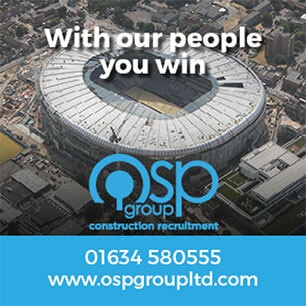 Find out more information on how to take part here.